Two dancing horses jump over pretty purple posies. Hot pink, purple, and blue-these earrings are the kind that people will notice, and love, and then be envious of. Free Gift Wrap, international shipping and lots of love from fearlessfreak. reverse crystals or Intaglio, came into being in the mid to later 19th century. Rock crystal is cut en cabochon (a back flat, the front rounded and smooth). turned to the front, an extraordinary image is evident in-the-round. If this image doesn't display you can view it here. Beautiful Unicorn Earrings, hand made from Czech glass beads size 11's . Can be worn with formal or casual clothes. These earrings are very stunning and will get attention. The Unicorn's are aprox, 3inches, including hook. I take pride in my work and spend a great amount of time to make them as perfect as I can. The Ear hooks are Surgical steel. I have sold at craft shows and art shows. Thank you kindly for taking the time to look at my hand beaded earrings. Any questions just ask, I will answer the best I can. For the horse lover – a lovely pony created in seed beads in a feather style. 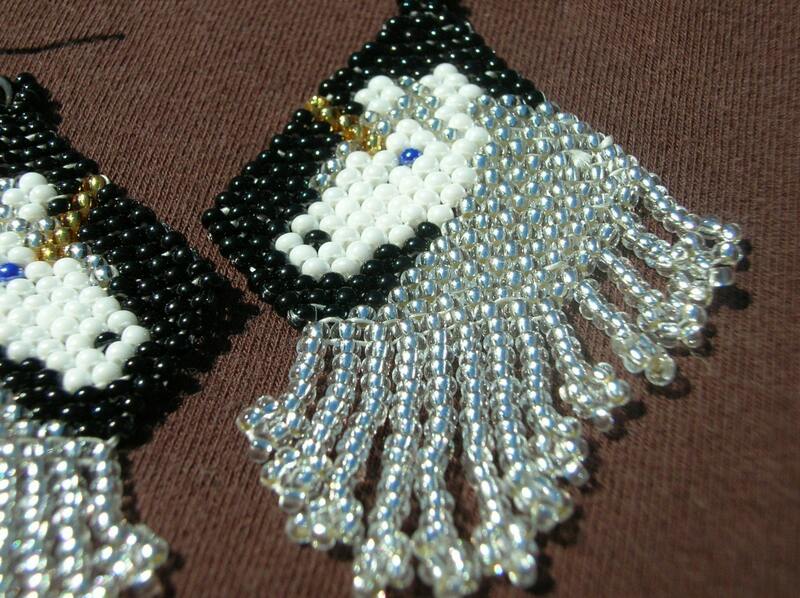 These earrings are hand stitched by me one bead at a time in place. They are done in a brick or Cheyenne stitch style. They are made with uniform seed beads and blue fire polished beads. Colors: black, brown, white, yellow, red, blue, brown and cream. They measure ½ inch (1.2 cm wide) and 2 ½ inches long (6.3 cm long) (not including the surgical steel ear hook). These earrings were made by me, design by Mary Hipple, aka KODIAK Wolf Den Dezigns (here on etsy as: wolfdendezigns38). Also for the ladies that would like to exchange out to clip on earrings please check out this post on my blog for current options. I will be adding to these as I acquire more options. That is some cute stuff! I have an ETSY store and should be getting a batch of horse charms in soon. Anything on there right now I can make with the silver horse charms. And I do custom work as well. There are tonnes of great horse-related items at that site. I picked up a set of coasters depicting horses from a vendor on etsy. Stacey - Thank you for including my earrings in your equestrian jewelry post! Brilliant - Christmas shopping started, thanks!!!! I have an Etsy store as well, although my stuff is hand made, like quilted wall hanging and doll. I think it's too conservative for Etsy, but I love these things you've shown. They are very tempting! Yes, Etsy can be very addicting, but as you said you can find amazing one of a kind items. 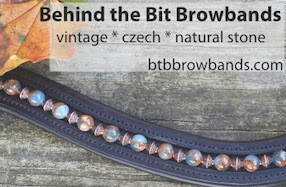 Thank you so much for featuring my Peaceful Ride Bracelet!